Happy Sweet Sixteenth episode, Double Bill! 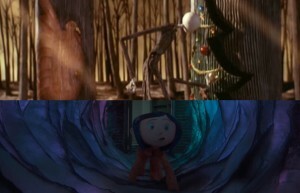 The Nightmare Before Christmas and Coraline have two large commonalities: they are directed by Henry Selick (who also directed James and the Giant Peach) and use stop-motion animation in their storytelling. Why and how they’re connected to the life of our guest, Tess Kean, you’ll need to listen to find out! Suffice it to say, there’s a lot of fond (and not so fond) memories for both of these films. 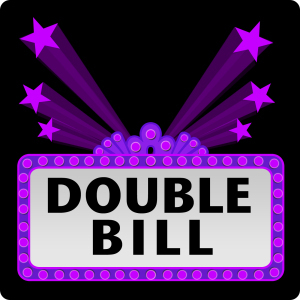 Next up on our plate we’re trying something new–a mini episode we like to call a “Double Bill Nugget”! * We want to provide more content, and we thought we could accomplish that goal by picking smaller pieces to dissect for your enjoyment. First up: Too Many Cooks / Don Hertzfeldt’s Rejected. *Name not yet finalized and subject to review.